This week, we take a look at the growth in state government direct spending per capita between 2001 and 2011 in real dollars (to eliminate the effects of population growth and inflation). 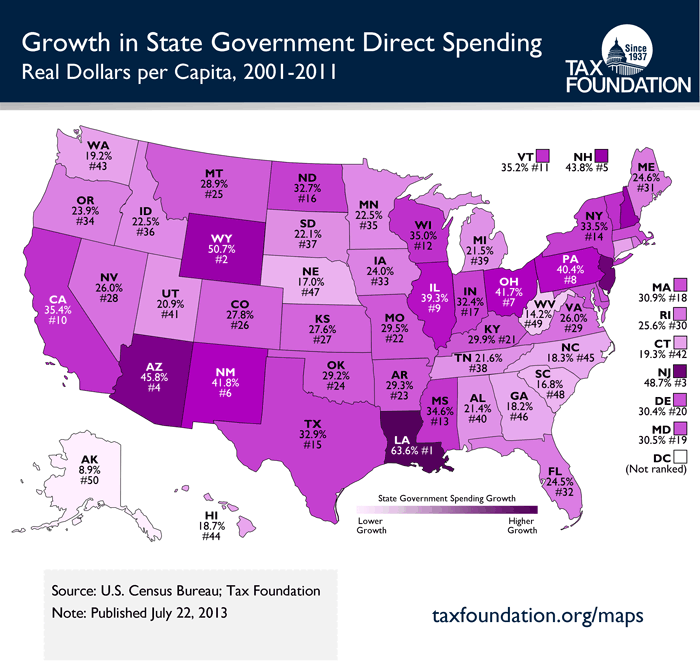 Louisiana leads the pack with a 63.6% increase in spending, followed by Wyoming (50.7%) and New Jersey (48.7%). On the other end of the spectrum, Alaska's direct spending grew 8.9%, the lowest in the country. Close behind are West Virginia at 14.2% and South Carolina at 16.8%.